Challenge Thousands of Americans live with chronic pain. Healthcare professionals must take steps to implement a multi-modal approach to pain care and see the whole patient, rather than just individual symptoms. They also must learn communication skills like teach back and shared decision making to prevent adverse drug events. 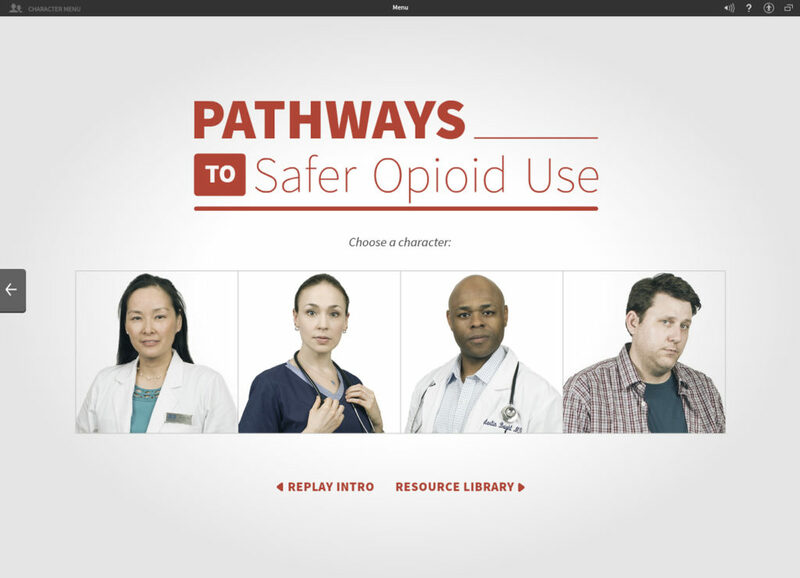 Solution Pathways to Safer Opioid Use is an immersive, interactive training tool that was designed using the opioid-related recommendations outlined in the National Action Plan for Adverse Drug Event Prevention (ADE Action Plan). The training uses the principles of health literacy and a multimodal, team-based approach to promote the appropriate, safe, and effective use of opioids to manage chronic pain. Program Synopsis Pathways to Safer Opioid Use demonstrates best practices for safe opioid use among medical practitioners and patients. 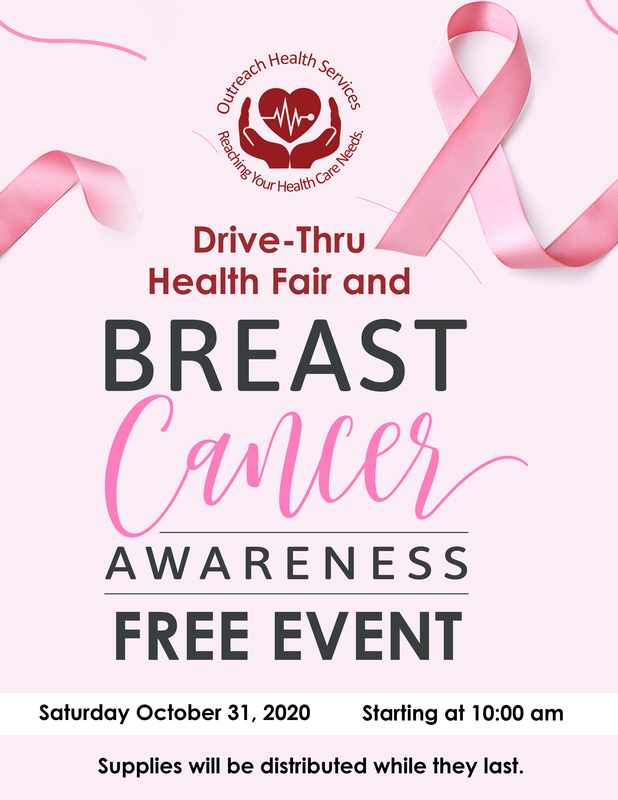 The goal is to reduce the staggering number of adverse drug events experienced each year due to the misuse of prescription drugs. Users play as four individuals: Dr. Martin Bright, Primary Care Physician; Dr. Katrina Lee, Pharmacist; Rhonda Clark, Nurse; and James Parker, Patient. Each individual has challenges, critical decision points, and an important role to play in ensuring the health and safety of patients living with pain. 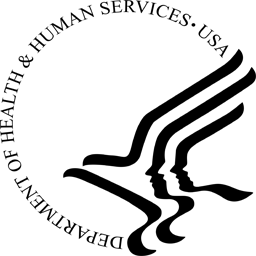 Client Description Pathways to Safer Opioid Use was created for the Department of Health and Human Services, Office of Disease Prevention and Health Promotion. We've developed multiple programs with HHS in support of public health initiatives, including Partnering to Heal, a program that addresses the prevention of healthcare-associated infections and the serious consequences they have on thousands of lives every year. Blended LearningPathways to Safer Opioid Use takes a comprehensive look at safe opioid use and pain management by offering four full character modules including a physician, nurse, pharmacist, and a patient living with chronic pain. The lives of these characters are intricately woven together in a short preview film called a "spine" where users see worst case scenarios play out, and then are challenged to go back in time and make better choices for each of the characters. Pathways offers over 120 minutes of live action video and branching virtual experiences. The user experience includes an interactive resource library, catered uniquely towards the needs of each of the characters and their profession. It also includes interactive and timed text boxes that explain the teach-back method as well as time management strategies. Celebrating Excellence "Pathways to Safer Opioid Use" is an award winning Program. 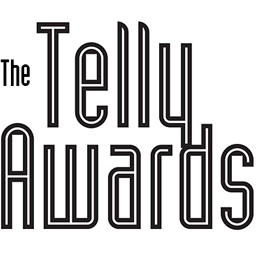 The program has won the Communicator Gold Award of Excellence in Film and Video for Health And Wellness and the Telly Bronze Award for Online Video for Health and Fitness.